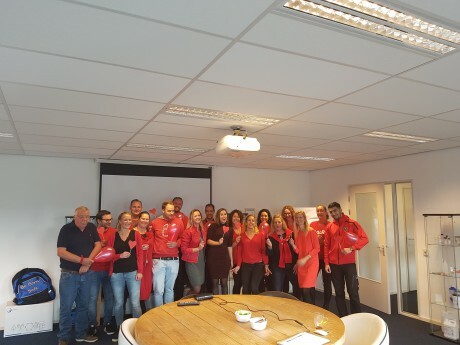 Today was not just another day at the office, today all members of Svizera staff were dressed red to seek attention for hartfailure by women. Signs are much different by women than by men, quite often the doctor doesn t recognize the signs. Also women themselves are not aware of the signs given by their body. Beter information and better treatment and most of all awareness is the aim. Svizera is proud to support red dress day.